Ever since I can remember, my family has had an Easter dinner complete with ham, mashed potatoes and dessert! Since I was not able to be home with my family for Easter this year, Jimmy and I made our own Easter dinner complete with a yummy ham. I experimented with a pineapple brown sugar glaze which ended up being the best part! Mix brown sugar, cornstarch, and salt. Add the remaining ingredients, and heat over low heat until mixture is think and bubbly. Boil for 1 minute. 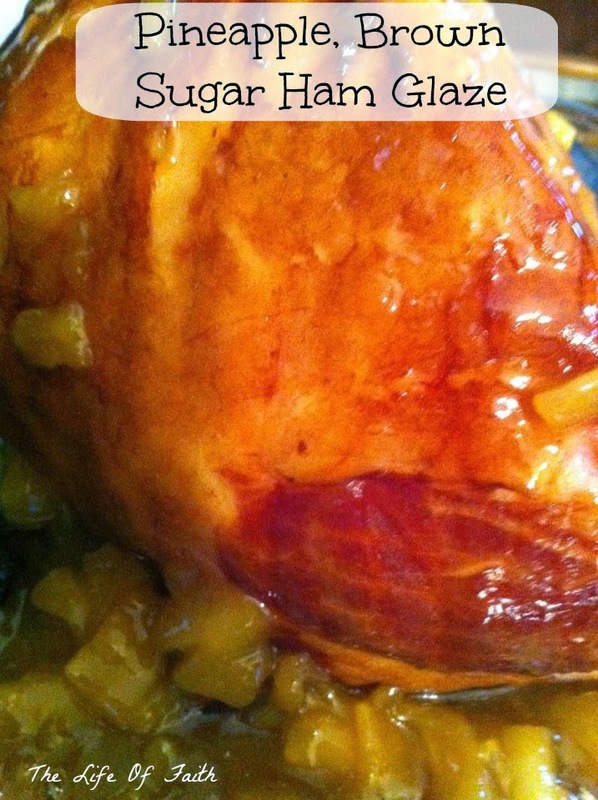 Bake Ham as directed on packaging and brush on glaze 45 minutes before the Ham is done cooking. What size can crushed pineapple do you use?